Now that we’ve explained to you some of the services that we offer (and we offer more than is shown) we need to discuss how you are going to “control” it all. 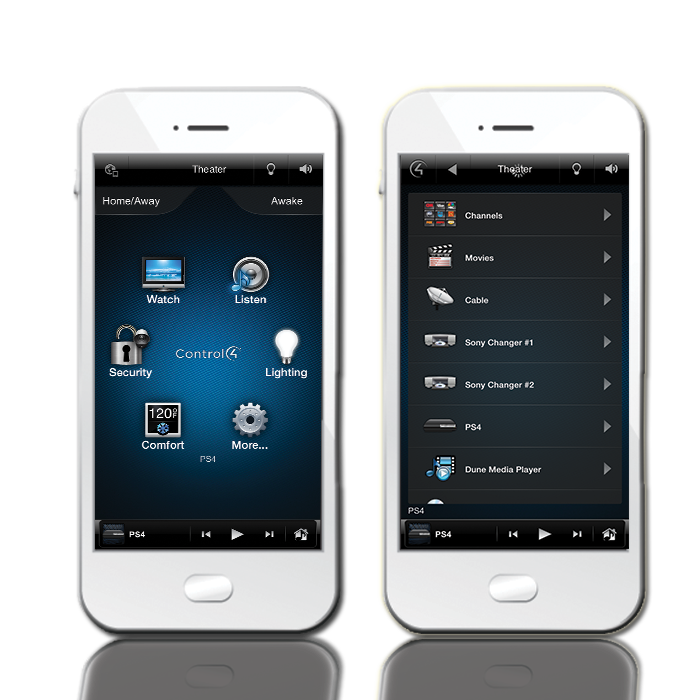 We offer control systems from several manufacturers such as Crestron, Control 4, and URC. 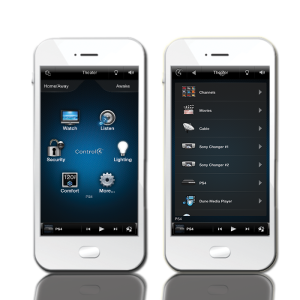 Control of your system(s) can be accomplished through the use of a separate remote control or through the use of your smartphone (android or i-phone) or smart tablet (android based or I-Pad). You don’t even have to “point” the remote at any of the components to operate them. We can also install in-wall touchscreen based controllers where needed in the home that will control central air/heat, home theater, lighting, surveillance, music, motorized shades, sprinkler systems, fireplaces, and the list goes on and on. In case you’re wondering if all this will be difficult to control, rest assured it isn’t because of the way we design the “user interface” (the look of the controller). We make it simple for you or any of your family members, relatives and friends to use.